Shelsea Araujo is a freshman athletic training major and member of Helping Younger Hands, Athletic Training Club and the Bronze Leadership Program. Inspired by her experiences with previous injury and the trainers she has worked with, Araujo is an athletic training major. The Kean University Athletic Training Department works to train students to make a difference in athletes' lives by providing training in the preventing, diagnosing and treating of muscle and bone injuries and illnesses. "I played softball throughout middle school and high school before I injured my knee. Because of my injury, I spent a lot of time with my school's athletic trainer, who then made me realize I want to help athletes continue in the sport they love so much," said Araujo. She continued to talk about the significance of the athletic trainer serving as a support system to the athlete. Athletic training majors at Kean gain certification based on in-class instruction and real-world clinical experience. Students are involved with the working with athletes and performers and learn about general medicine, therapeutic interventions, functional anatomy and rehabilitation practices as well as capabilities of emergency first-aid and athletic treatment in realistic situations. "Athletic training at Kean is a hard and vigorous major. You are hands-on from a very early point, and you need to go through the process of being accepted into the program." 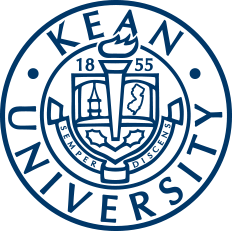 Araujo decided to come to Kean after graduating from Carteret High School in Carteret, NJ because of her athletic trainer who is a Kean Alumni as well as the affordability and diversity Kean has to offer. In coordination with her major, Araujo is also a member of the Kean University Athletic Training Club and part of the event staff with Kean Recreation. Athletic Training Club's goal is to provide information of the athletic training field and to gather those within the major or interest area to help provide them with opportunities like scholarships, fundraising and experience. Kean Recreation event staff works in assisting in all of the recreational activities on campus like sports events and Greek Olympics. Arajo is a great example of how involvement on campus helps students feel more connected to their university and its community. "I feel that I've met so many different types of people and created bonds and friendships from my involvement starting with joining the Leadership Institute. I feel that if I didn't make all of these connections I wouldn't feel as at home at Kean as I do now in such a short time." "Everyone is so nice and genuine in the Leadership Institute. It's not like in other organizations where the people in it put on a face to get you to join. Leadership members are genuinely interested in getting to know you and be friends with you. Bronze was a great way for me to experience the campus before coming here and I got really comfortable here." The T2K Bronze Leadership Retreat welcomes a selected group of incoming freshmen to spend a weekend at Kean before move-in day. The applicants apply for The Leadership Institute and over the weekend, volunteers and specialists from the Leadership Institute offer the new Bronze Leaders a series of leadership and team-building exercises to promote the students to become future leaders and volunteers on campus. The Bronze level of the Leadership Institute is dedicated to getting the freshmen leaders to be acquainted and comfortable with the campus community. Within the Bronze program is the Leader 2 Leader mentor program, which pairs a freshman Bronze leader with an upperclassmen leadership student. Through this program, the pairs of mentors and mentees meet throughout the year and the mentor helps the mentee with questions and serves as a connection to the campus. In only a short time, Araujo has been able to establish herself as an involved and successful student. In addition to being a member of the Bronze Leadership program and member of the Athletic Training Club, she is also the event coordinator for Helping Younger Hands. Helping Younger Hands is a student group that helps to spread awareness of different disabilities, disorders and causes that affect children. After her first semester, Araujo has received Dean's List and has a bright future ahead of her with many more accomplishments to come. 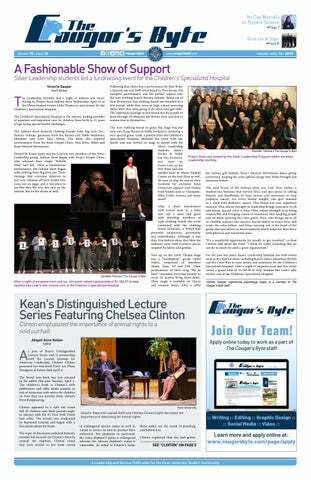 For more information on the Leadership Institute, students can email leadershipinstitute@kean.edu, call (908) 737-5182 or visit Miron Student Center (MSC), Room 215.